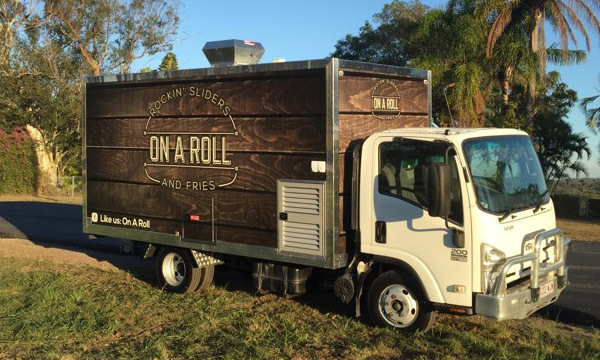 This burger truck is a little different from other burger trucks roaming the streets. On a Roll serves burger sliders. Sliders are the perfect bite-sized option for anyone who can’t manage a whole burger, or for those who might be watching their waistline (eek!). Yet they are also great for those indecisive folk with big appetites who can’t decide between a juicy Angus beef burger or a spicy pulled pork burger. You can have both! Lori and Brendan brought to us one of Brendan’s Isuzu trucks previously used in his furniture business that had been retired from the fleet. 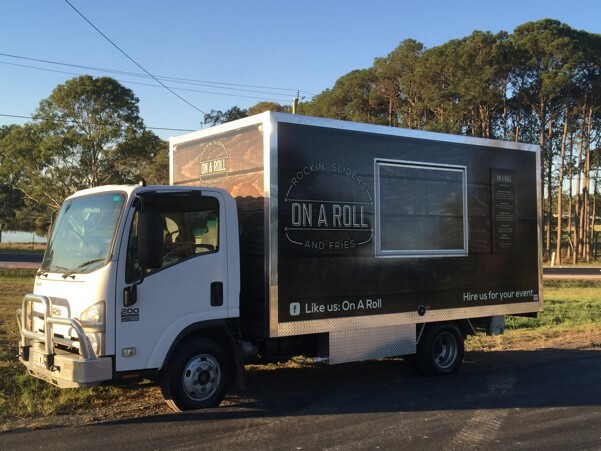 The Van Demons team removed the existing truck body and built a new 4.5m long truck body encasing a full commercial kitchen, and… voila! Brendan’s furniture truck is reborn as a food truck! 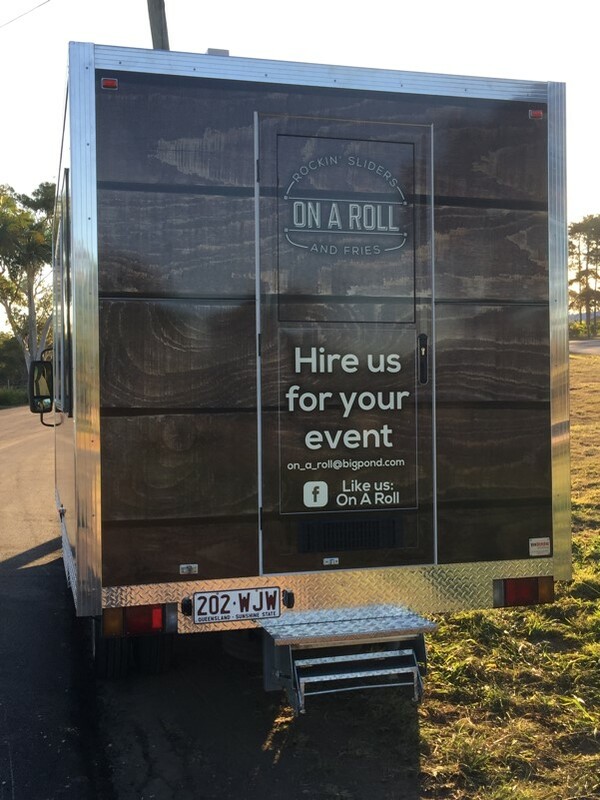 Lori and Brendan are an entrepreneurial couple who are taking advantage of the increasing popularity of street food on the Gold Coast. In their very first event they sold over 800 sliders! Now that’s a mean feat!